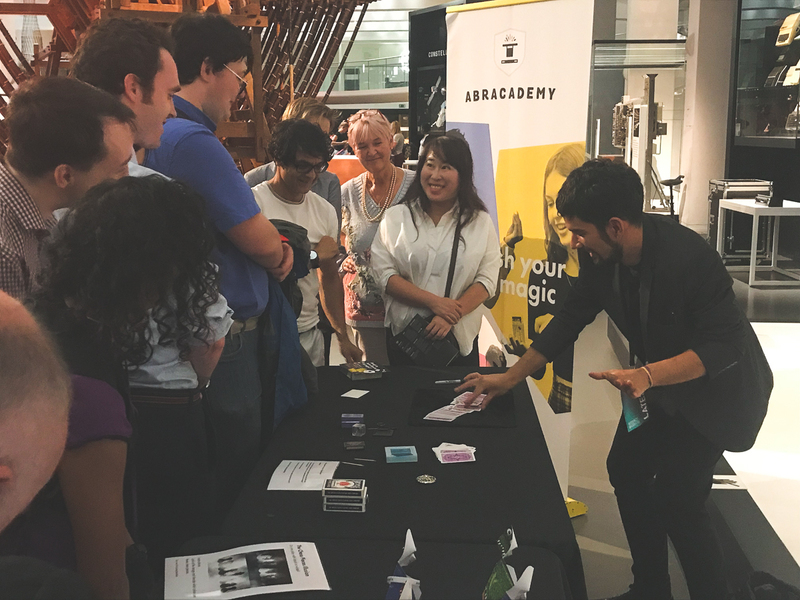 When I heard that the Science Museum invited Abracademy to take part in their Lates event, I immediately thought: let’s take magic home! A very English and most representative character of this unity was John Dee, magician to the court of Queen Elizabeth I. He was a mathematician, astronomer, astrologer, philosopher, scientist and magician. His prolific discoveries and visions helped Elizabeth to write the future history of England. We didn’t know it yet, but John Dee would be present for Abracademy’s performance that night at London’s Science Museum – one of the world’s scientific cathedrals! 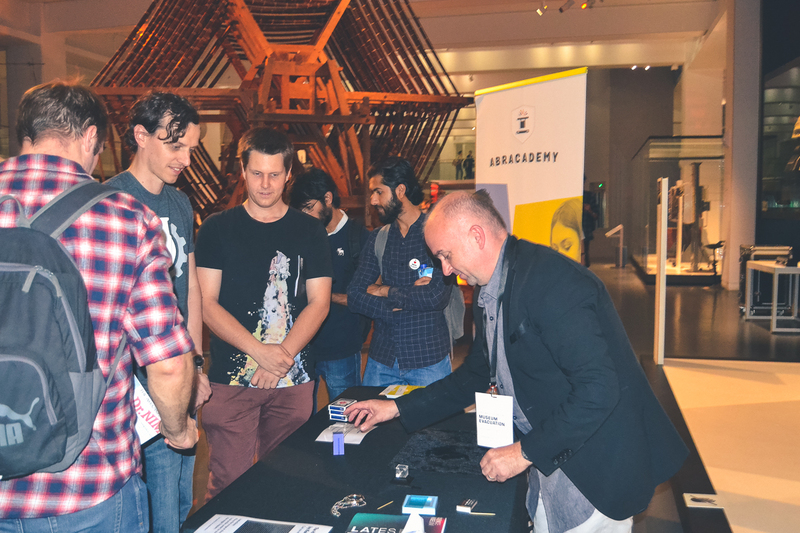 Abracademy offered various activities (workshops, the Wonder Table, Abracademy Labs and a talk by yours truly). 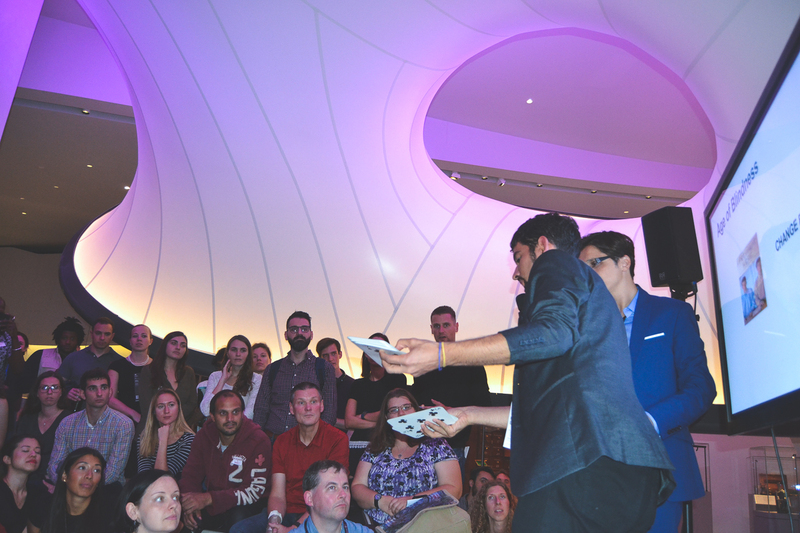 We presented to and taught what magic is about to a hugely diverse audience. We also talked about the implications that this complex form of art has, in furthering the study of the human brain. 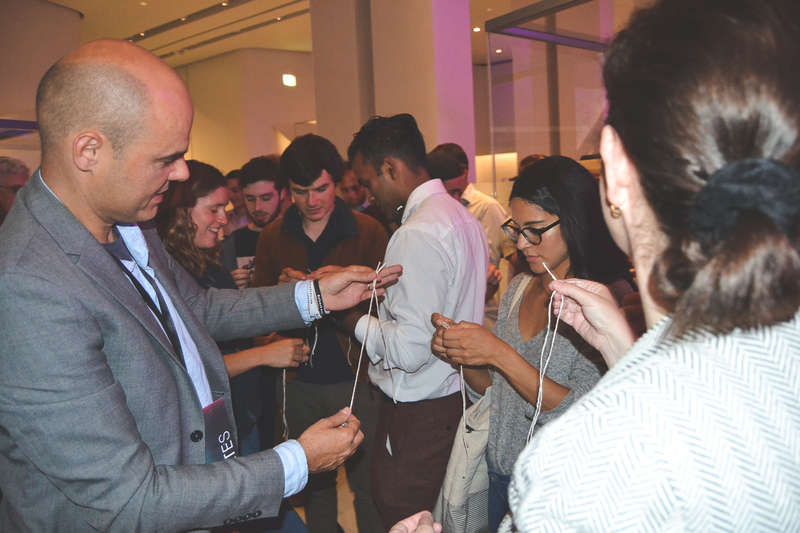 In the workshops, participants learned about the sense of Wonder while experiencing magic specially designed for the event. The Wonder Table showed the most curious different types of illusions. Illusions that made them question what reality is and how we can be sure about the existence of what we see. The table also marked a line between optical illusions and cognitive illusions, which are a more complex type of illusion. They attack processes such as attention, memory and perception. Magic is the best example of cognitive illusion. Magic and science are inextricably entangled. They have always inspired each other to create new ways of thinking and observing. They are complementary disciplines concerned with the same things, such as the human brain and how it works. Magicians are great observers of human behaviour, acquiring a deep and intuitive knowledge of the brain in the process. Through their own methods, trials and errors, magicians have understood, for millennia, phenomena of cognition that are only recently defined by neuroscientists and psychologists. Magicians and scientist are once again collaborating. But this time to disentangle the underlying processes behind attention, memory and perception. It’s within this context that Abracademy created Abracademy Labs – an independent laboratory using magic to investigate the human brain. Currently the lab is developing different experiments, including understanding decision-making and forced choices. 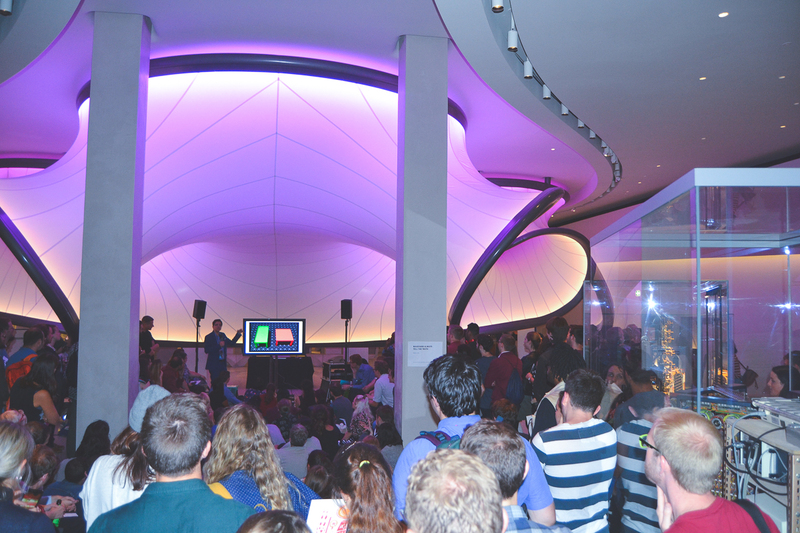 Abracademy Labs was of course present at the Science Museum Lates. 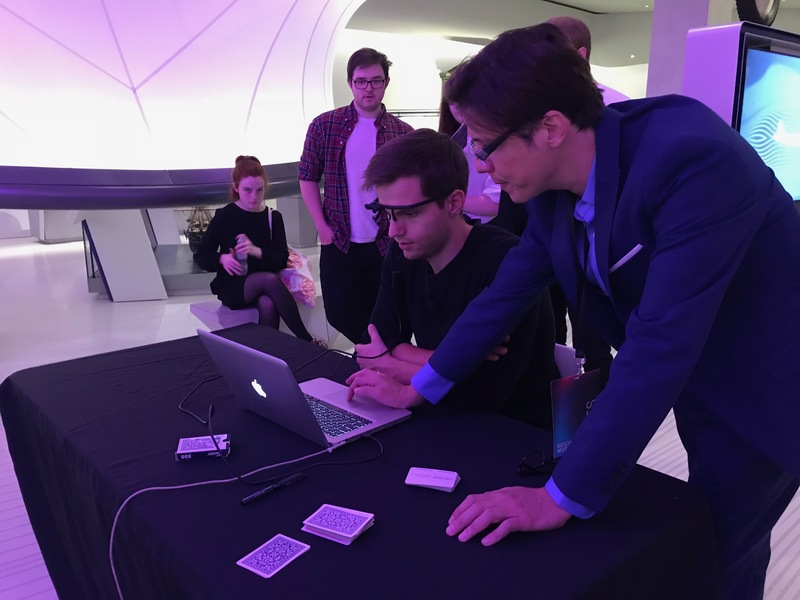 Participants were invited to wear an eye tracking device and asked to look at a deck of cards while choosing one. The experiment always ended with the same enthusiastic question: how can you predict my card selection?! In a very special room dedicated to a different art, mathematics (the universal language of nature), Abracademy created an evening of Wonder and brought magic home. We’re delighted that Dee was with us as mentioned, albeit in book form. Just a few steps from our Wonder Table was the first English edition of Euclid’s Elements, to which Dee wrote the preface. A magic (book) end to a magic evening!